Hello people of the Internet!!! On today’s ‘YouTube Wednesday’, we are going to talk about an INCREDIBLE YouTube musician that you may or may not already be obsessed with. Trust me if you’ve never heard of Elyar Fox, then you need to continue reading this post. This 19 year old singer/songwriter from London is quickly taking over the music industry and the hearts of his fans one click at a time. Excited to hear more? Are you sure that you’re ready? Ok, then let’s go! The first song that we’re going to talk about is Elyar’s ‘Treasure/When I Was Your Man’ by Bruno Mars video, which was uploaded on Mach 27th, 2013. I thought that this was a really cool Bruno Mars themed mash-up, which took two very different songs and perfectly matched them up. This video really showed off what a great musician Elyar’s is, and will have you hooked from the first note to the last. Next up we have his ‘Rather Be’ by Clean Bandit cover, which was uploaded on April 7th, 2014 (you can’t check out the video below). I chose to include this video because it showed Elyar performing live. In this video we really get a look into Elyar’s performance style. Although we already knew that Elyar was a talents vocalist/musician, we really get to see how he is able to take command on stage and leave his audience spellbound. This video definitely shows that his performance skills are above and beyond that of a new artist. Just imagine how amazing he’ll be in a few years? 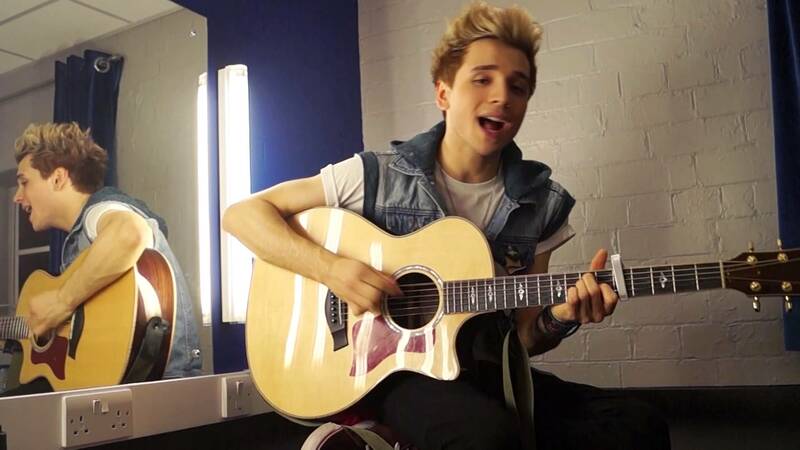 Now we’ll look at Elyar’s rendition of ‘Somebody To You’ by The Vamps feat. Demi Lovato, which was uploaded on June 4th, 2014. It was really cool to see Elyar take on a really fun, energetic song, because we really got to see his personality shine through. This cover really shows that Elyar is able to take on a just about any type of song, and will definitely get you excited to hear more of his covers. It’s cool to see your fav YouTubers really have fun with what they do, and we can certainly see that Elyar is having a lot of fun on this video which only makes us love him even more. Finally we’ll look at Elyar’s cover of ‘See You Again’ by Wiz Khalifa feat. Charlie Puth, which was uploaded on April 19th, 2015 (you can check out the video below). This is definitely a tough song to cover because you not only have to sing the song correctly, but you also have to be able to show the deep emotions behind the lyrics. As everyone knows, this song was originally written as a tribute to ‘Fast and The Furious’ alum Paul Walker who sadly passed away in 2013. Because of this connection, this is a song that has to be sung with a lot of heartfelt emotion in order to maintain the magic of the original version. Elyar does an incredible job of capturing the emotions behind this song, and will definitely make you cry after you hear it. All credit goes to YouTube,Twitter, Instagram, Tumblr, Facebook, elyarfox.com, Elyar Fox, Phredley Brown, Bruno Mars, Philip Lawrence, Ari Levine, The Smeezingtons, Atlantic Records, Clean Bandit, Jess Glynne, Warner Music Group, Jack Patterson, James Napier, Nicole Marshall, Grace Chatto, The Vamps, Demi Lovato, Mercury Records, Virgin EMI Records, Hollywood Records, Carl Falk, Savan Kotecha, Kritian Lundin, DJ Frank E, Charlie Puth, Wiz Khalifa, Andrew Cedar, Marcos da Silva, all of the businesses, companies, people, stores, and any other original owners involved and/or mentioned in any of these videos, any and all companies, individuals, and/or businesses that should receive credit for anything mentioned in this blog post, and all original owners. I do not own anything in this blog. If any people, corporations, businesses, companies, etc, were not previously given credit for their work, they are given credit now and their previous absence was unintentional. All opinions expressed in this blog are my own. I wrote this blog for entertainment purposes and no copyright infringement is intended. celindareyesblog May 20, 2015 No Comments on YouTube Wednesday: Elyar Fox…the artist that will keep you glued to YouTube all year. Category: YouTube Wednesday. Tagged: Andrew Cedar, Ari Levine, artist, atlantic records, bruno mars, Carl Falk, Charlie Puth, Clean Bandit, demi lovato, DJ Frank E, Elyar Fox, elyarfox.com, facebook, glee, Grace Chatto, Hollywood Records, instagram, Jack Patterson, James Napier, Jess Glynne, Kritian Lundin, Marcos da Silva, Mercury Records, music, new, Nicole Marshall, paul walker, Philip Lawrence, Phredley Brown, rather be, Savan Kotecha, see you agian, somebody to you, the fast and the furious, The Smeezingtons, The Vamps, treasure, tumblr, twitter, Virgin EMI Records, warner music group, when i was your man, wiz khalifa, youtube. YouTube Wednesday: Dallas students go viral! Home | YouTube Wednesday | YouTube Wednesday: Dallas students go viral! Hello people of the internet!!! On today’s ‘YouTube Wednesday’ we are going to discuss an AMAZING new video that is ALL over the internet. In just 3 days (as of January 27th, 2014), this video has already gotten 1,753,423 views on YouTube. What started off as a simple school project for A. Maceo Smith New Tech High School (a high school in Dallas, TX) students has now grown into an epic viral video. It all began when Theatre Arts Teacher Scot Pankey asked his classes to ‘let go of their fears’ (as the video’s description says) and help create this project. The video was shot and edited by students at the school, and all of the participants worked tirelessly for weeks to get the chorography just right. Once I saw this video I just knew that I had to tell y’all about it, because it is such an incredible video! Now if you want to see this awesome video (over and over again, because honestly who how can you only watch it once right? ), then you check it out at the end of this post. So y’all ready to talk about it? Let’s go! I would have to say that the number 1 thing that I love about this video is the effort that seemed to go into it. The choreography is really cool and fun to watch. Even though the teacher is the one in all of the shots, the students all shine just as brightly. The fact that this video was done in 1 shot completely amazes me, because can you imagine how hard it must be to get that many people to do the correct chorography simultaneously on cue (#mindblown!). Another thing that I really love about this video is that this is an AWESOME project to assign to students who want to learn about technology. It’s really cool to see a school not only promoting the arts, but doing so in such a way that will encourage other people to try a similar project. I think it’s really cool that now these students might have been exposed to how much work and fun goes into a large scale project like this, because now they might create more awesome videos for us (fingers crossed we see more dance mob videos). With so many people trying to get a video to go viral these days, it’s cool to see a bunch of really awesome, creative people get together and make a fun project…that just happens to go viral. I think Bruno Mars and Mark Ronson would be proud! All photos and information used in this blog belong to YouTube, Bruno Mars, Mark Ronson, Jeff Bhasker, Philip Lawrence, Sony Records, Columbia Records, RCA records, A. Maceo Smith New Tech High School, TripyJV, Dallas Independent School District, the city of Dallas, the state of Texas, Scot Pankey, dallasnews.com, and all other original owners. I do not own anything in this blog. If any people, corporations, businesses, companies, etc, were not previously given credit for their work, they are given credit now and their previous absence was unintentional. All opinions expressed in this blog are my own. I wrote this blog for entertainment purposes and no copyright infringement is intended. celindareyesblog January 28, 2015 1 Comment on YouTube Wednesday: Dallas students go viral!. Category: YouTube Wednesday. Tagged: A. Maceo Smith New Tech High School, bruno mars, Columbia Records, Dallas Independent School District, dallasnews.com, Jeff Bhasker, Mark Ronson, Philip Lawrence, RCA records, Scot Pankey, Sony Records, the city of Dallas, the state of Texas, TripyJV, video, viral, youtube.